Natasha’s story is one of growth and maturity. She realized early on that she wanted to be a neurosurgeon, and she has stuck to this goal for years. However, her grades at this time were not up to par to achieve this goal. Natasha realized this and immediately began to work to correct this problem. She knew that fulfilling her dream of becoming a neurosurgeon would require an education, and that this was the best shot she had to pull her family out of poverty. Natasha learned to implement good study habits and hold herself accountable for her grades; now, she is earning very impressive grades of 350 out of 500 marks, putting her at the top of her class. 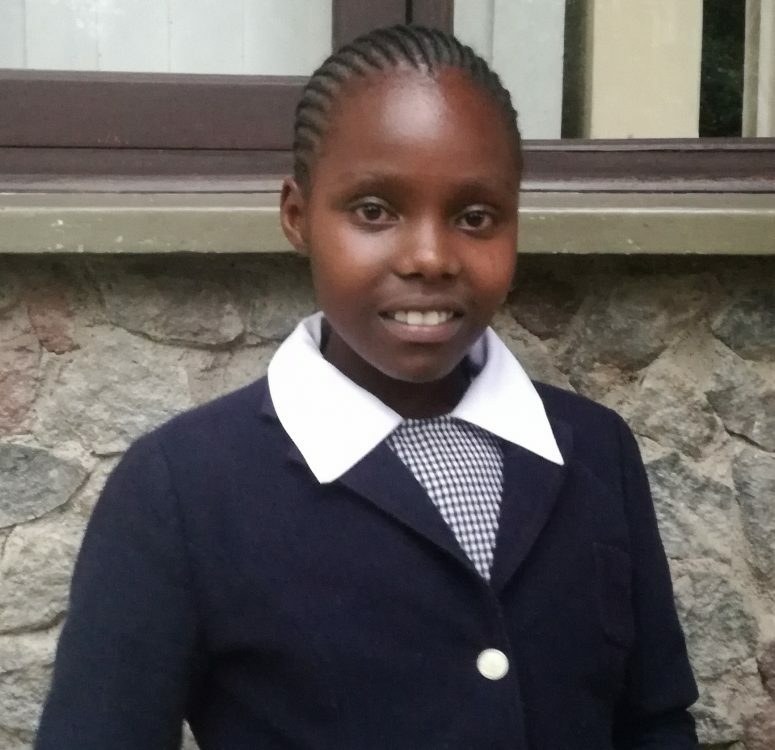 She is looking forward to taking her Kenya Certificate of Primary Education (KCPE) at the end of the year, and has set a goal to earn at least 400 out of 500 points on this important test. Natasha’s single mother sells boiled eggs on the roadside to provide for them. When she is not in school, Natasha helps take care of her younger siblings and does house chores while her mother works late. Natasha hopes to build her mother a house one day. Though she has her own duties to take care of at home, she has managed to find a good balance between her home and school work. She also finds time to indulge in another favorite past time – reading storybooks with her friends. Over the years, Natasha has grown into an organized, responsible young woman, with her priorities in order and goals for the future lined up. However, she will need help to achieve her dreams. Be that help for Natasha; sponsor her education today. Sponsoring Natasha's secondary education is $85/month. Thank you for sponsoring Just One!